On what background should we photograph our food? There are basically two types of food photography backgrounds, environmental and a background designed to make the photos easy for the artist to cut them out to use “dropped into” other backgrounds. Usually these backgrounds are either solid grey or solid white, seamless backgrounds. I call these types of shots “outlined” shots. So, food photographs are either “outlined” or environmental. The type of background for a food photo should support the theme of the ad, menu, article or whatever the final use of the photo might be. Thought should be given to the psychological message of the background and if that message jives with the message of the overall marketing theme. Backgrounds help create a mood or theme. 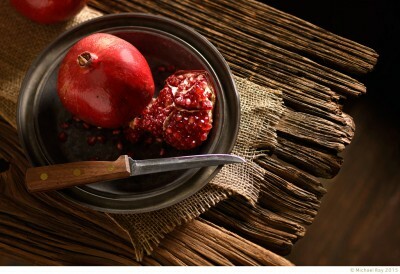 For example, a barn wood background sort of sets the theme of the photo and no matter what the food is, the theme of the photo will have already been set.